Israel is a country of food (and drink). 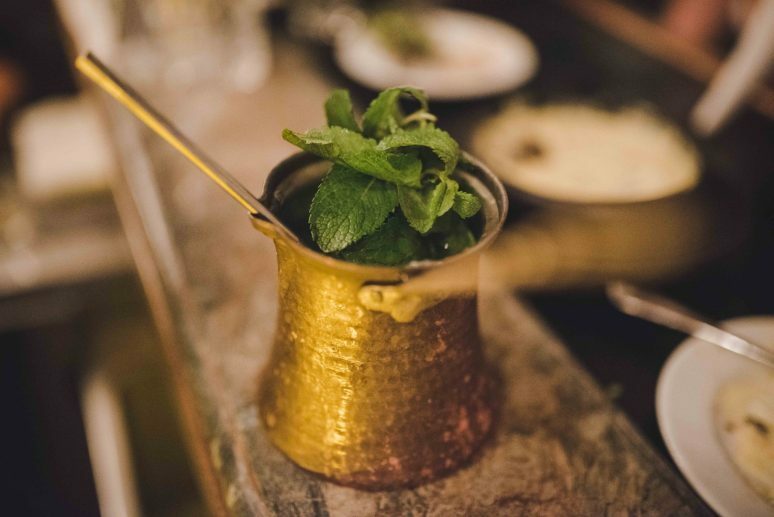 If you visit you will very quickly realise that every meal comes with multiple dishes, an expectation that you will eat them all and a shot of arak to wash it down with! Whilst I am a picky eater (I don’t eat fish, mushrooms, tomatoes, eggs, unknown food items inside of other food items or multiple foods touching other foods such as inside sandwiches… the list goes on!) 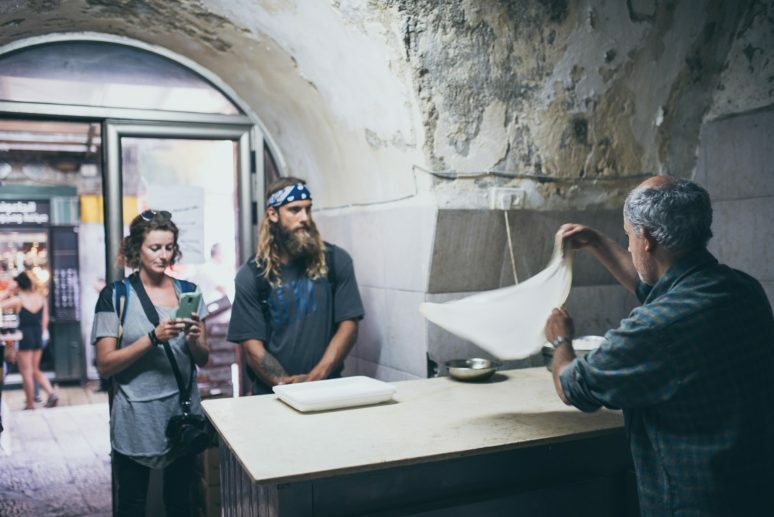 – I absolutely fell in love with the food culture in Israel. I tried every dish put in front of me and for the most part loved them all. By the end of the trip my companions were telling me I needed to become a food blogger. My waistline expanded significantly so I had to leave, but I will definitely be back to Israel if for nothing other than the food! My trip to Israel was organised by Vibe Israel, a non-profit organisation who want to show Israel beyond its politics, show the beauty of Israel, its traditions, the entrepreneurial mindset, the technology and of course the food! 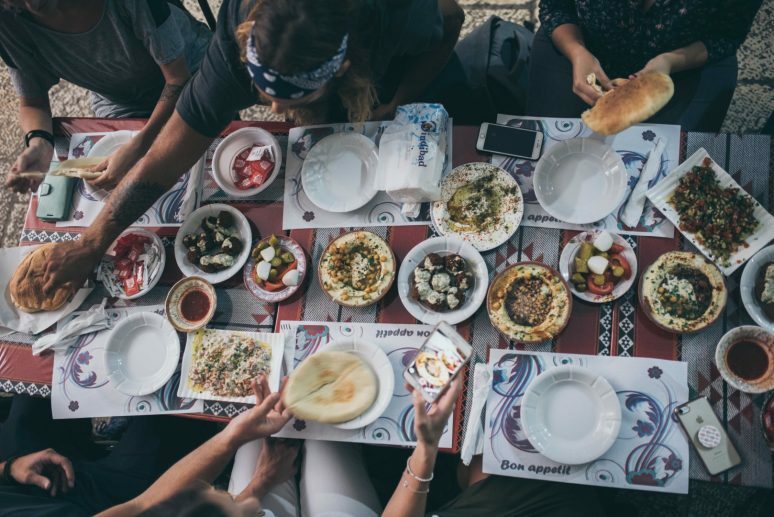 During my trip I had several amazing culinary experiences and in this article I share with you 12 must try food and drink experiences in Israel. Let’s start with lunch in the old city of Jerusalem. 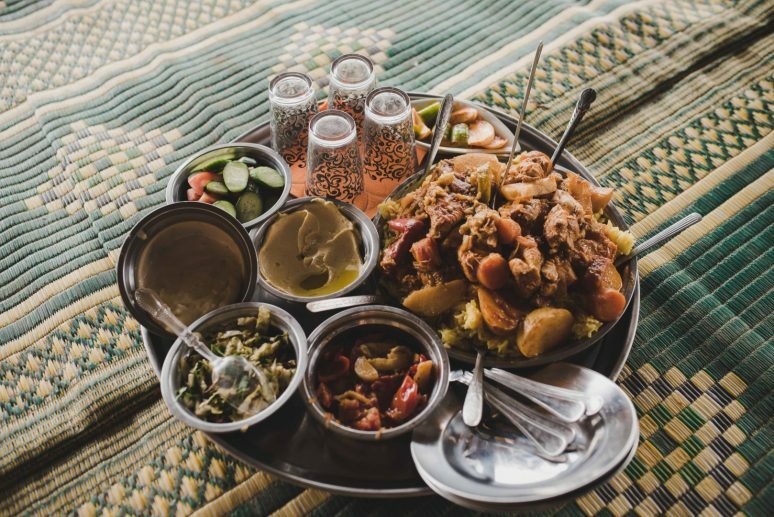 You cannot go wrong with any meal that you have here, but I suggest that you take a guided foodie tour of the city and that way your guide will be able to take you to one of the best spots in the market. 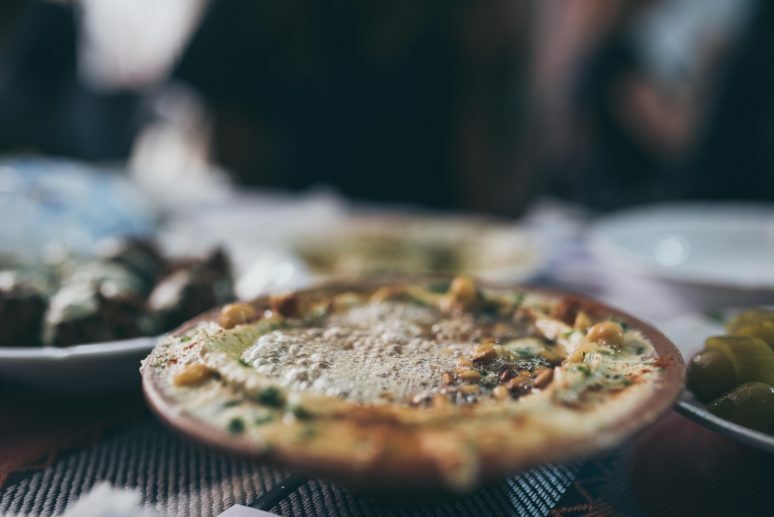 We stopped for a delicious meal of houmous and other tapas style bites, seated on a small table and on plastic chairs this was one of my favourite and authentic meals in Israel. 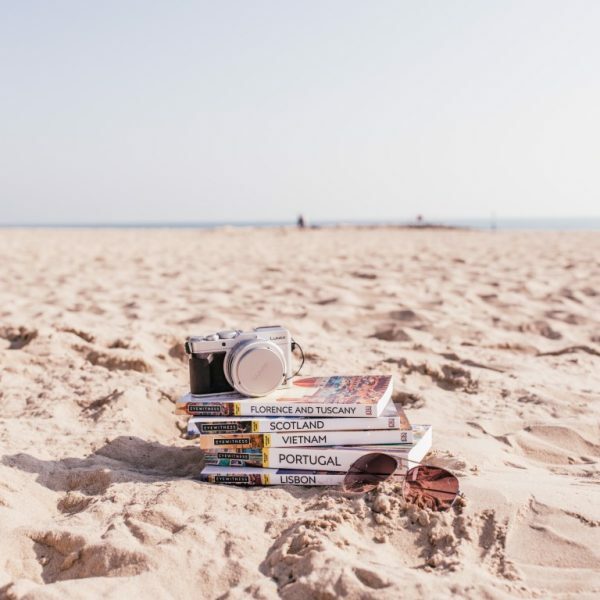 Another reason to hire a guide is that they will take you to places within the market that you otherwise would not have found. 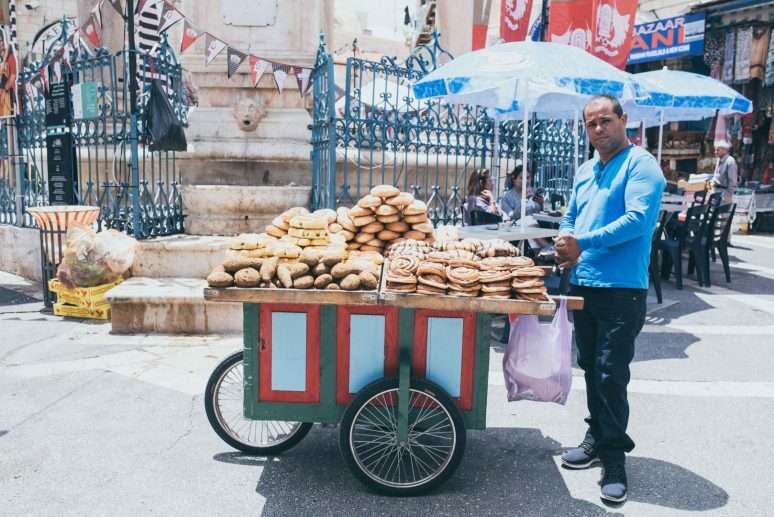 Tucked away in one of the alleys and through a small doorway, you enter a cave like room where a man makes a traditional pastry called mutabak. 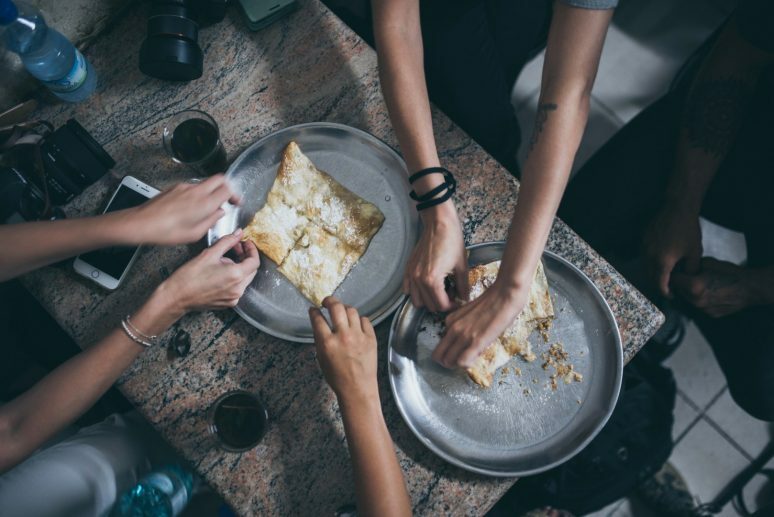 The cafe itself is of course nothing special, just a small room with an oven, a refrigerator and a few tables – but the mutabak is something special and cannot be missed. The mutabak is an arab treat and Mr. Zalatimo himself will make this right in front of you. The flaky phyllo pastry is stretched out and a cheese and/or nuts filling is added, the pasty is folded and then a sweet topping is added which honey’s the pastry. After around 10 minutes your mutabak will be brought to your table and you will savour this delicious creation that has passed down the Zalatimo family since the 19th century. I suggest that you order two, because I promise you will want a second one! Learning about a country and it’s heritage is always important, and if you can do that whilst enjoying a home cooked meal even better! 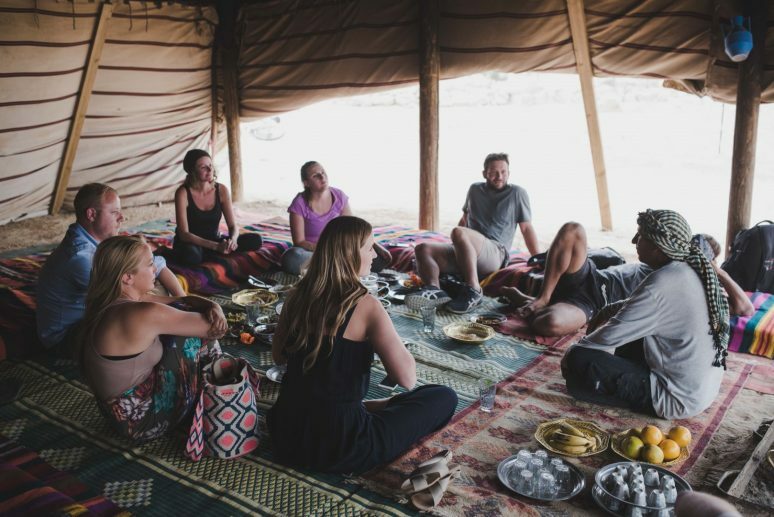 We were fortunate that Vibe Israel arranged for us to visit a Bedouin family to learn about the lives of Bedouin families and have the honour of eating with them. We got to spend a few hours with our host Salman, who talked to us about his life growing up as Bedouin, the lessons the children are taught each year to develop their character and skills living in the desert and many fun stories from his life. And then we got to enjoy a meal prepared by the family, along with fresh lemonade and tea. It was simply delicious and another unique culinary and cultural experience in the country. 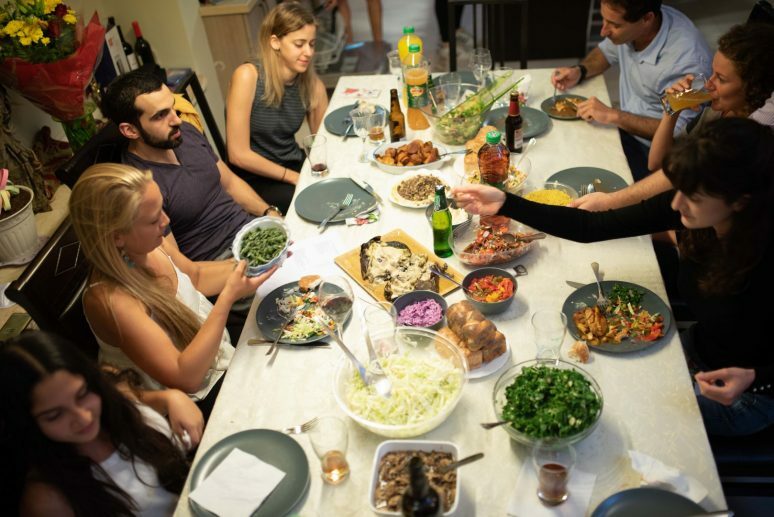 Friday Night Dinner, or Shabbat, is an important part of Israeli culture. Families come together every friday to have a huge meal and evening together. 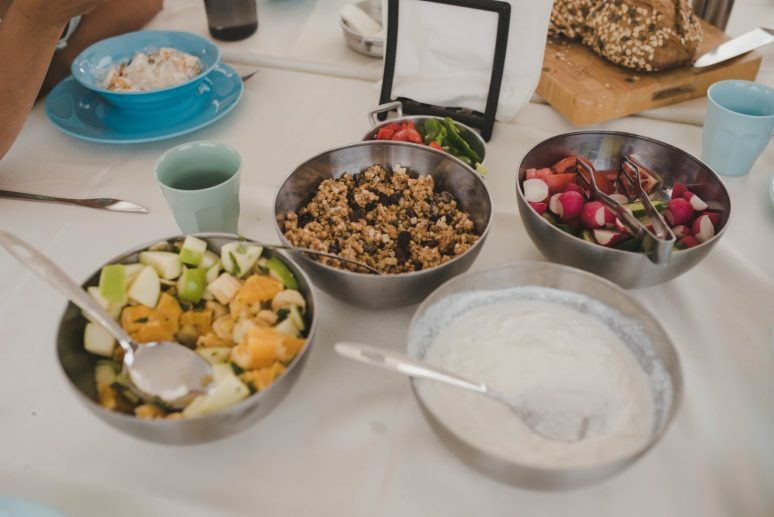 When you visit a country it’s not really proper to just invite yourself over into a stranger’s house, but you can still experience this Israeli tradition by booking an experience with Betzavta, a company that arranges authentic experiences for you to join a family for dinner. 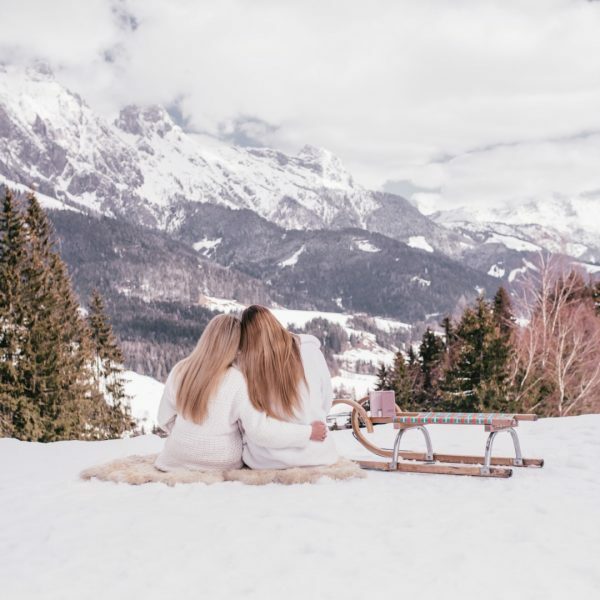 Betzavta means “together” in Hebrew and the company’s mission is to bring travelers and locals together, creating true friendships through a unique dining experience. The hosts, in our case the lovely Barak Family, open their homes and invite you for a casual Israeli dinner. 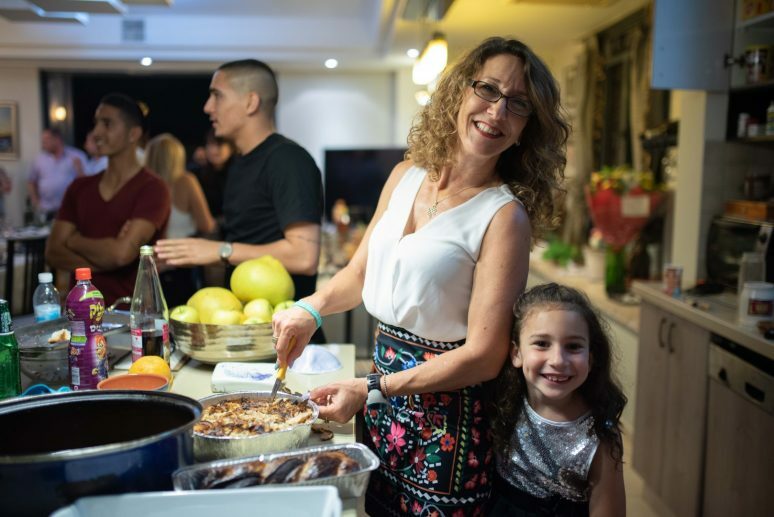 This was such a fun way to get to know more about Israeli life, food and family! 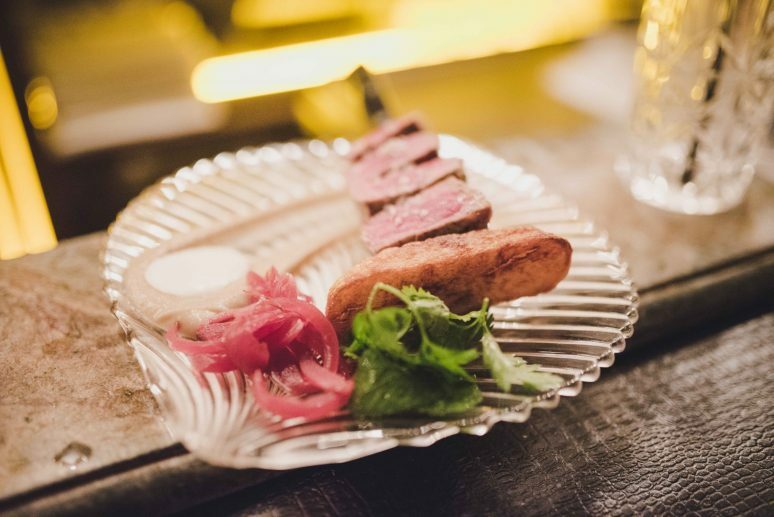 Described as one of the best restaurants in Jerusalem and highly rated on TripAdvisor, you should not miss this brasserie style eatery in Jerusalem. Menza is open all day you can visit for breakfast, lunch or dinner. I dined for an evening meal and enjoyed several dishes to share with my companions. Highly recommend everything on the menu, but make sure to order the ravioli and the Menza burger. The cocktails are pretty good too, so make sure to give those a try! During my time in Israel I spent an evening under the stars in the desert with Happy Glamper Israel. This was such a cool experience! Happy Glamper set up a series of tents along with a fully equipped open kitchen trailer where they cooked us a delicious meal in the evening and tasty breakfast. 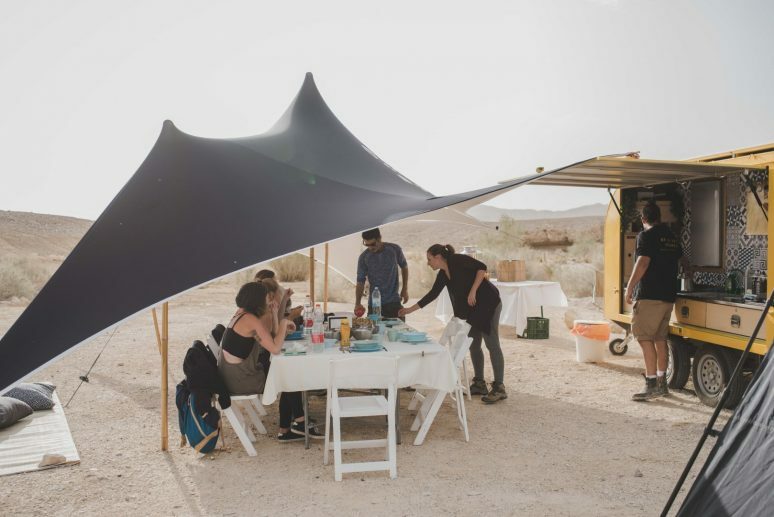 You can rent your own Happy Glamper tent, so this dining experience isn’t just about what you eat since you can cook up whatever you want – but more about the experience of being out in the desert and dining under the starry sky with a group of friends! Butler is a speakeasy within a speakeasy, a private dining and cocktail spot within the popular Bellboy Bar in Tel Aviv. Dining at Butler may be secondary to the main activity which is to learn about the art of cocktail making and taste several creative cocktails from the mixologist, but by no means is it secondary in terms of the taste. The food is delicious, and the tapas style dishes perfectly complement the drinks. 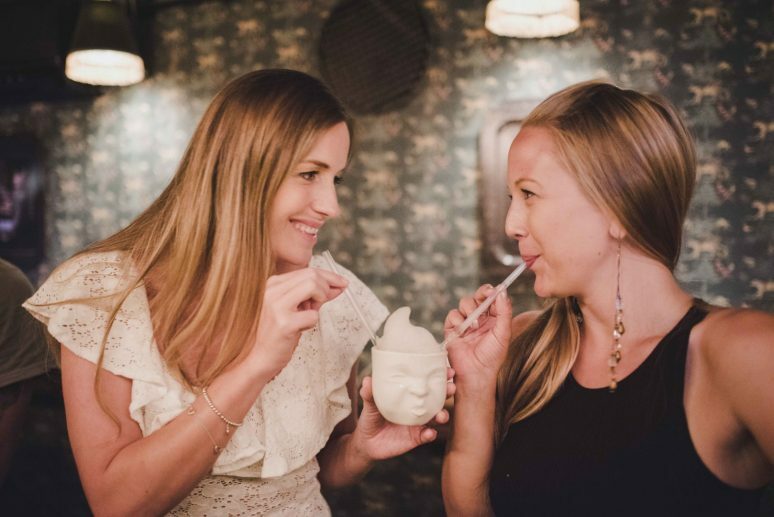 Make a reservation with a group of friends and you can take over the whole space and spend an evening getting progressively more tipsy as you try the elaborate cocktails served in miniature bathtubs, giant boxing gloves and viking horns! Miznon is basically gourmet fast food. 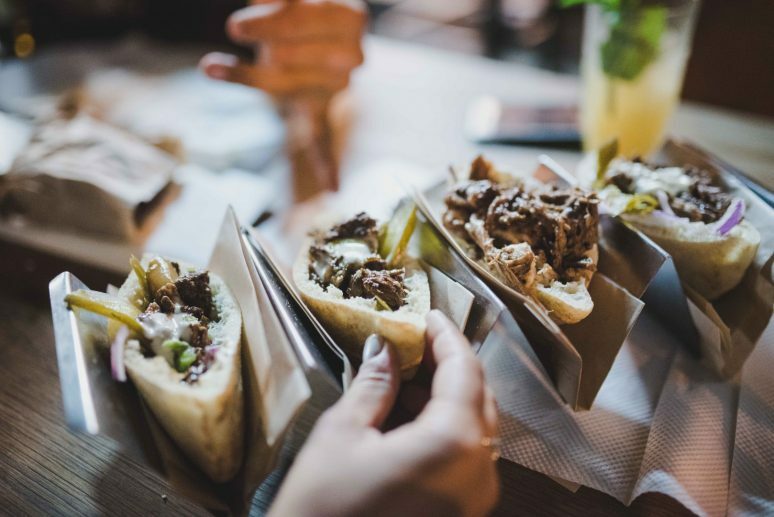 The menu offers various soft pita creations, with different fillings such as minute steak, entrecôte with fried egg, baked cauliflower and many more. Miznon is usually packed to the brim, with locals vying for a table so you may have to wait a while but it is definitely worth the wait! 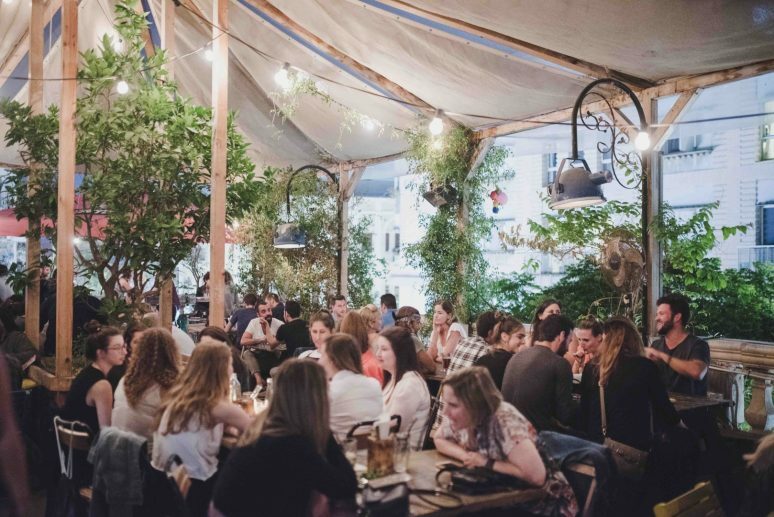 A fun place to spend the evening before hitting the clubs in Tel Aviv is The Prince. 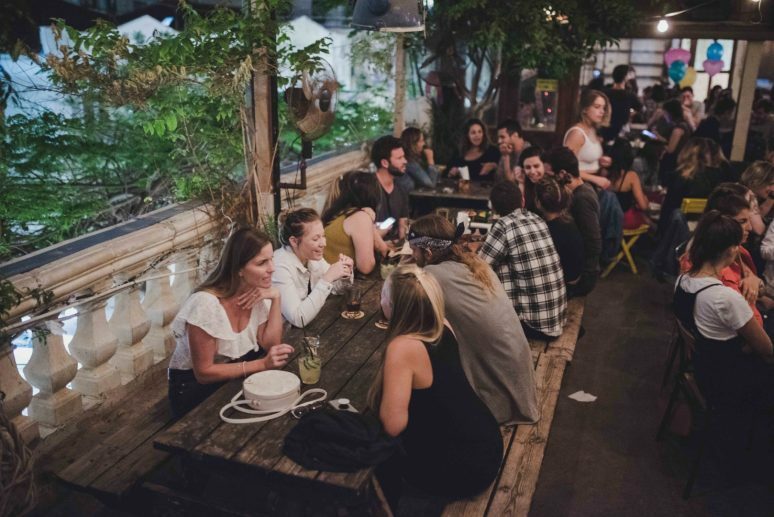 This casual venue has an English pub like feel on its rooftop bar and is is the perfect place to meet with a group of friends and make new friends! The atmosphere is great, casual and comfortable and you can spend a few hours here enjoying cocktails and beer and snacks before your evening out. Valero, named after the original name of the Machne Yehuda Market, is a Kosher restaurant and bar in Jerusalem. 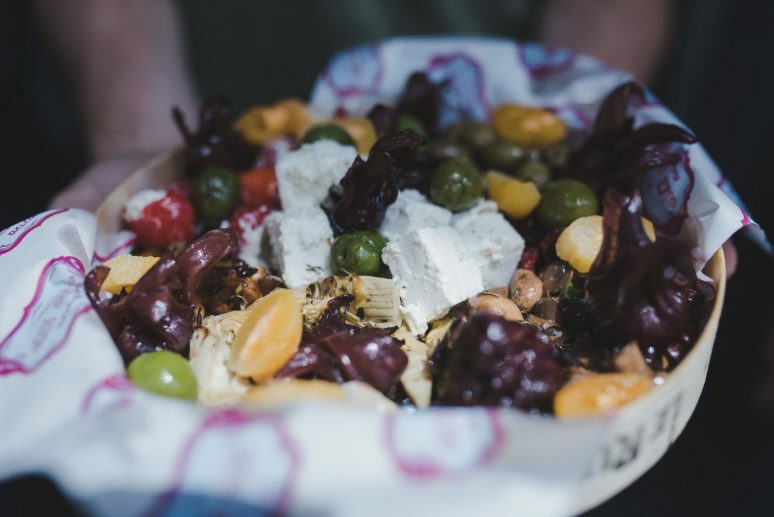 The menu is put together by Chef Aviv Moshe’s and is a blend of the classic Israeli dishes with newer foodies trends and the ingredients are bought every day at the market. 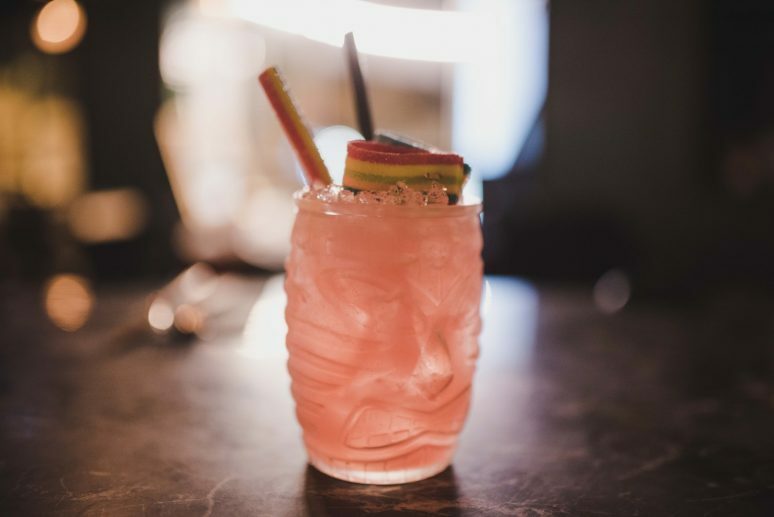 Not only is the food divine, but the cocktails are fun and unique including ones made with sour sweets! Dining in the dark is a unique experience all around the world. 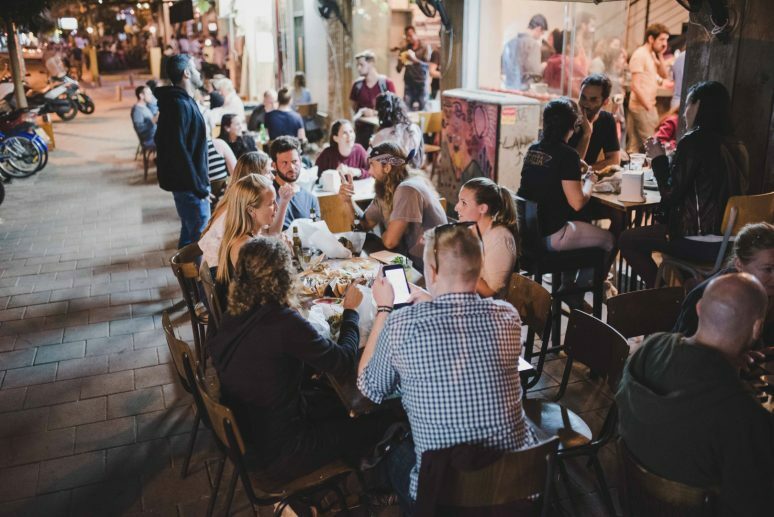 At Jaffa Old Port in Tel Aviv you can visit Na Laga’at Blackout Restaurant for a meal that you cannot see but only taste, allowing you to have a different sensory experience that you are used to. Upon arrival you will lock up your belongings into a locker as you don’t need these with you and then your waiter will guide you through the pitch black restaurant to your table. The waiters at the restaurant are all blind and they are so friendly and welcoming throughout the whole experience. It’s completely unique and hard to explain the way your senses react to the darkness, but I really enjoyed the experience of focusing on sounds and taste rather than what I could see. 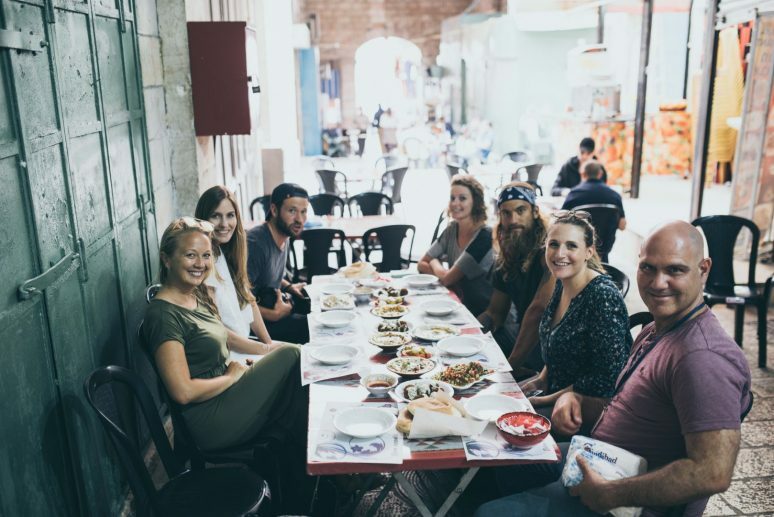 And finally my absolute favourite foodie experience in Israel was a food tour around Levinsky Market in Tel Aviv with Be Tel Aviv Tours. The tour took us to some of the oldest spice shops, traditional helva shops and to have a spring garden in a drink! 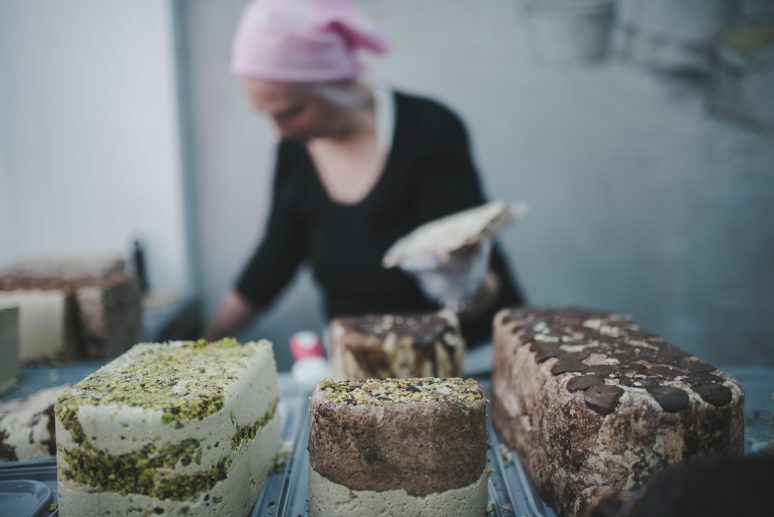 Read 7 Essential Stops In Levinsky Market, Tel Aviv. 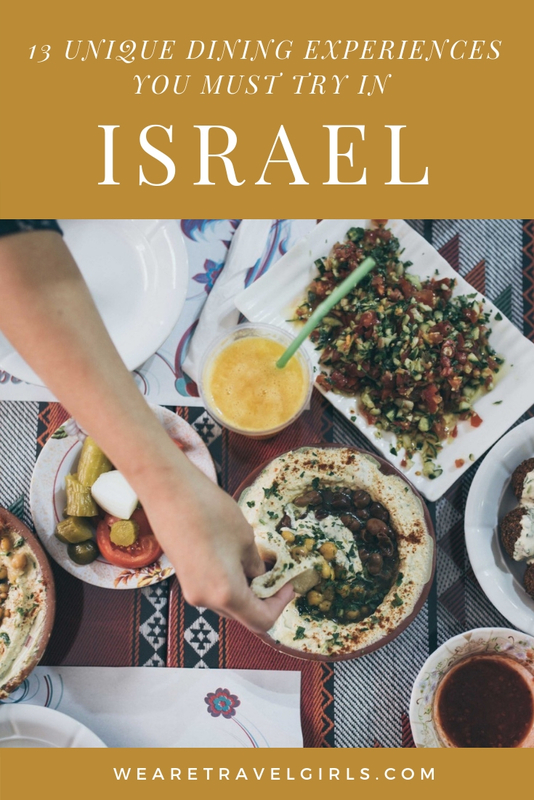 Since my list of food and drink experiences in Israel is quite long, you will probably need to stay a while! Here are a couple of recommendations for places to rest your head after a long day of eating in Tel Aviv and Jerusalem. 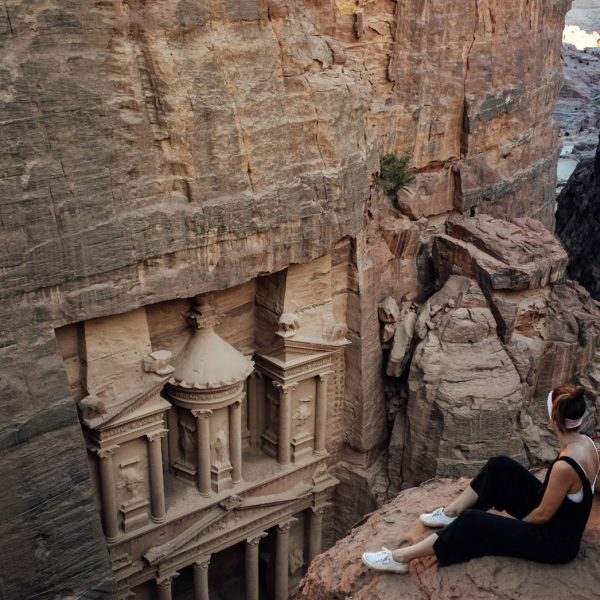 I hope that this article has inspired you to visit Israel and indulge in all of the food, drink and cultural experiences that it has to offer. I hope that this article has helped to plan your own trip to Israel. If you have any questions, comments or tips for our readers please share in the comments below.